Senan Gerard Kelly, 18 Greenfort, Cairns Rd, Sligo, and late of Carhue, Cooraclare, Co Clare. (Late of Land Commission and Forest Service.) Mass of the Resurrection in St John’s Church, Carraroe, at 11am this morning with funeral proceeding to Sligo Cemetery afterwards. Donations if desired to Palliative Care, North West Hospice, C/o Foley & Mc Gowan Funeral Home, Market Yard , Sligo. Patricia Currid, nee Flynn, Manchester, England, formerly of Ballinascarrow, Ballymote, Co. Sligo. Peacefully at home in Manchester. Requiem Mass in St Mary of the Angels and St Clare, Levenshulme, Manchester on Thursday, September 21st at 10am. Family flowers only. Donations in lieu if desired to the Christie Hospital, Manchester. Danny Breslin, Fintra Road, Killybegs formerly Crucknagapple, Ardara and London. At the Harbour Lights Nursing Home, Killybegs. Brother of Mary Breslin, Cronkeerin, Ardara; Charlie Breslin, Crucknagapple, Ardara, Bridget O’Gara, Meenacross, Glencolmcille and Rose Boyle, Curraghfeehan, Bruckless. Reposing at his late residence in Fintra. Funeral from there this morning at 10.30am to St Mary’s Church of the Visitation, Killybegs for 11am requiem mass with burial afterwards in the family plot at the Church Of The Holy Family Ardara Cemetery. Kitty Bennett, Kintuckey, Ardara. At The Harbour Lights Nursing Home, Killybegs. Funeral mass in The Church Of The Holy Family Ardara this morning at 11am with burial afterwards in the adjoining graveyard. Family flowers only please. Michael Mc Ginley, Main Street, Mountcharles, Co. Donegal, at Letterkenny University Hospital. Reposing at Gallagher’s Funeral Home, Station Road, Mountcharles today from 5pm with rosary at 9pm. Removal from there on Friday morning to the Church of the Sacred Heart Mountcharles for 11am funeral mass with burial afterwards in the adjoining churchyard. House private please. Mollie Dowdican, West End, Bundoran, Co. Donegal. Peacefully in her 102nd year at Sheil Hospital, Ballyshannon. Mass of the Resurrection this morning at 11am in Our Lady Star of the Sea Church, Bundoran, followed by burial in St. Ninnidh’s Cemetery, Newtown, Bundoran. Mary Johnston, The Mullins, Donegal Town. Peacefully in Harbour Lights Nursing Home, Killybegs. Remains reposing at her residence in the Mullins, Donegal Town, today from 2:00pm to 10:00 pm. 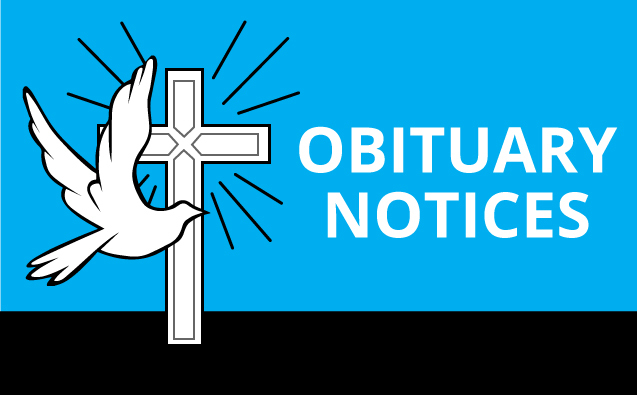 Removal to St Mary’s Church, Killymard, at 10:30am on Friday for funeral mass at 11:00, with burial immediately afterwards in adjoining cemetery. James Fallon, Ruislip, London and Westport, Co. Mayo, formerly Geevagh, Co. Sligo. Peacefully in London, predeceased by his father James and twin brother Pat. Reposing at Shivnan’s Funeral Home, Ballyfarnon, on Friday evening from 7pm until 10pm. 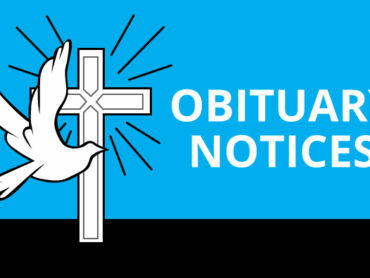 Removal to St. Joseph’s Church, Geevagh on Saturday morning, to arrive for Mass of Christian Burial at 12.15 o’clock. Interment afterwards in Corrig Cemetery.